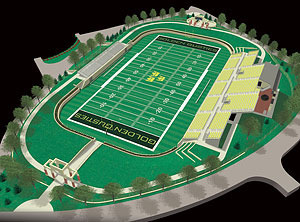 Architectural rendering of the football complex under construction at Gustavus. 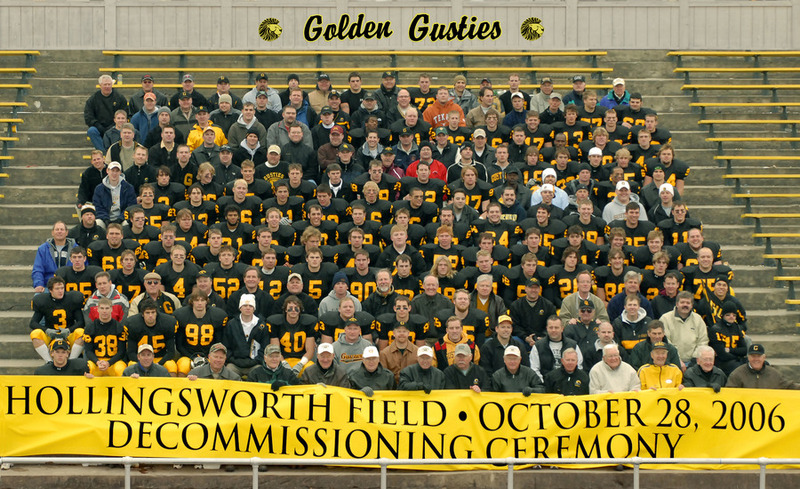 Current and former Gustie football players commemorate the decommisioning of Hollingsworth Field. 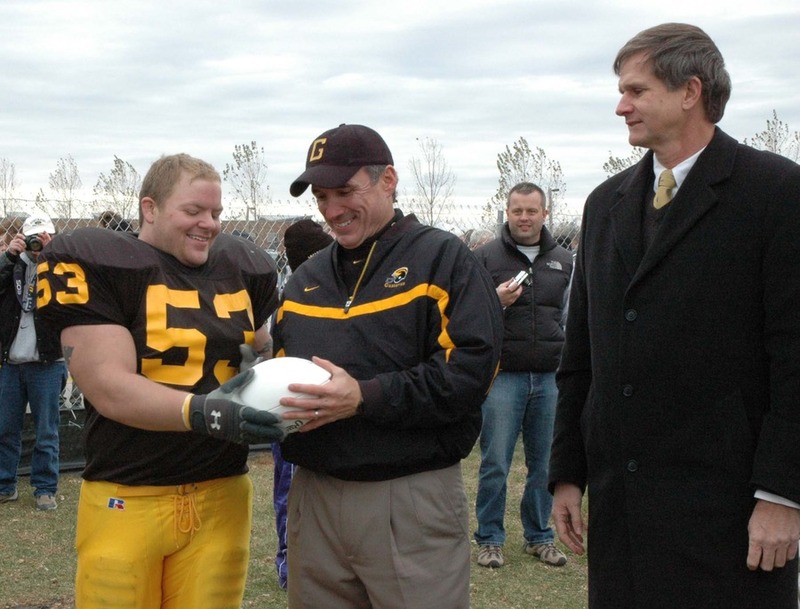 A football, and the tradition it represents, is passed from the current stadium to the location of the new field. The current field was laid out in 1905 (even though intercollegiate football had been banned by the college’s president in 1904) and is one oldest active football fields in Minnesota. It was initially used for intercampus games. Intercollegiate football was reinstate in 1917, and the first “Women’s Football Classic,” which garnered national headlines, took place on the field in 1923. The stadium dates back to 1929 when lights were also installed. It was the site of the first night football game (1929) played in the state. Construction on the new facility began on Oct. 21 and should be completed by the start of the 2007 football season. More information on the project is available online .